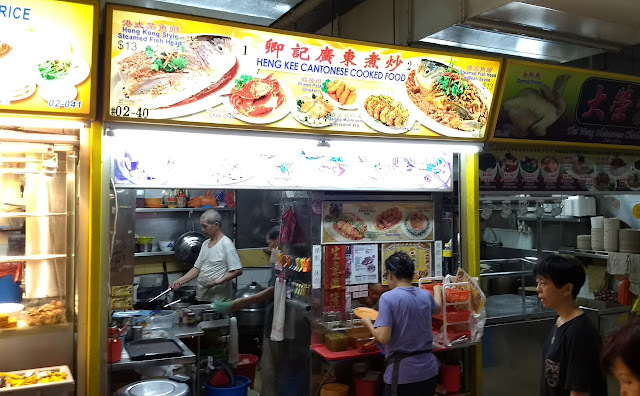 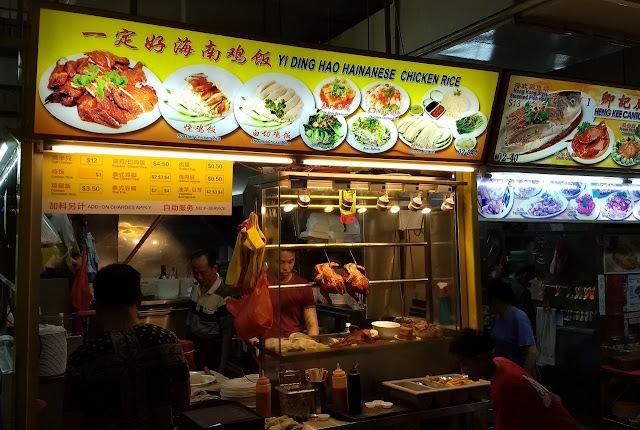 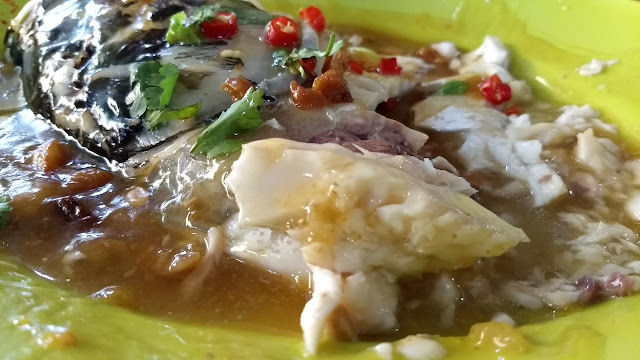 Having already had Kaya Toast for breakfast, and a big lunch at Tiong Bahru Market, we ended up going out a bit late for dinner at Chinatown Complex Food Centre. Because of the time, a lot of the stalls had already closed up and the pickings were a bit slim. 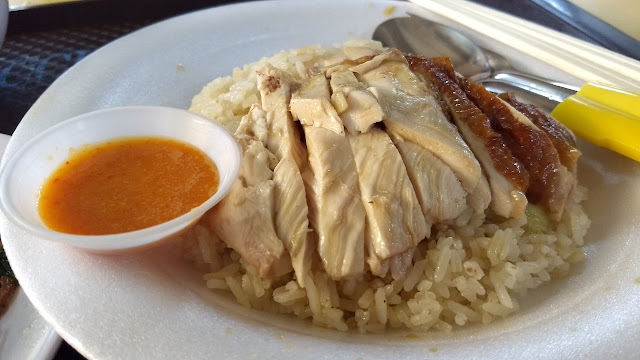 We ended up grabbing a very serviceable Hainanese chicken rice dish from Yi Ding Hao. It was also quite reasonably priced and came with a generous side of vegetables. 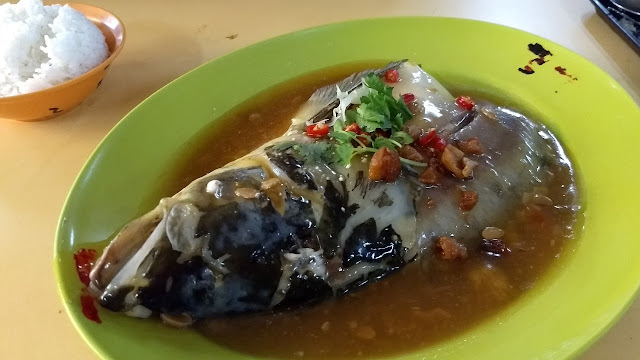 The fish was succulent and delicious. 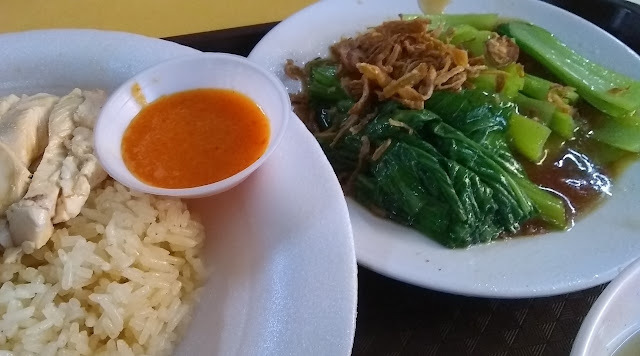 The sauce was good, but a bit on the sweet side for me. 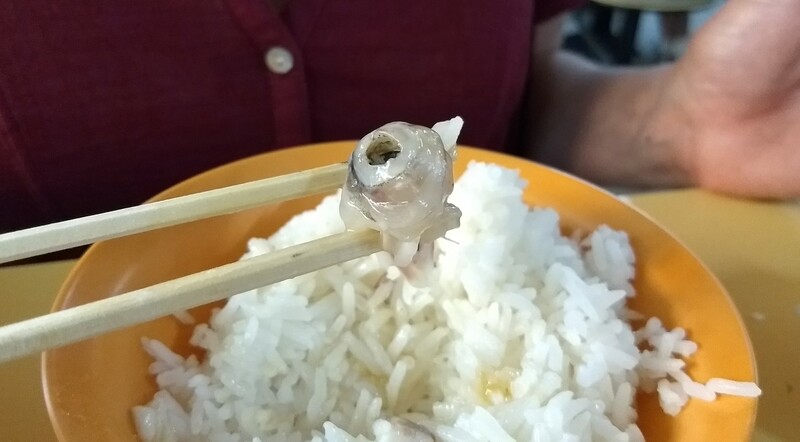 We only had one fish eyeball between the two of us, so I chivalrously let Sherry have it.